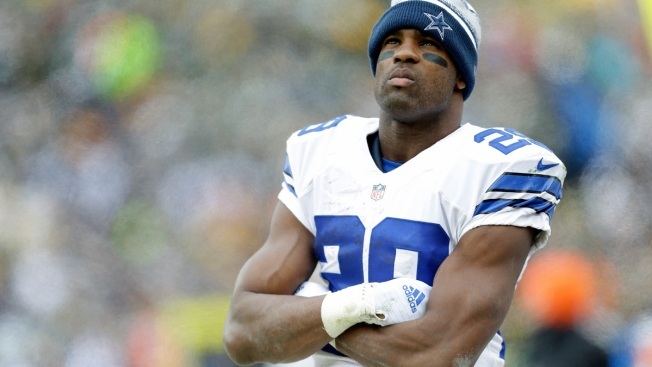 While fans freak out that DeMarco Murray scrubbed his Twitter of Cowboys references and simultaneously ignore that his website remains full throttle with the blue star, the battle lines of his impending free agency are firmly established. The Cowboys want him back. But only at their price. And, yes, this is the proper stance. I maintain that Murray is a good back that produced a special season behind an elite line on a superior offensive team. He’s a one-move back that, despite leading the NFL in rushing and setting a franchise single-season record, leaves yards on the field every game, if not every possession. Murray is just a cog in the wheel that boasts star-studded spokes like Tyron Smith, Zach Martin, Travis Frederick, Jason Witten, Dez Bryant and Tony Romo. Cowboys Vice President Stephen Jones spoke with Murray’s agent, Bill Johnson, late Monday night and will likely communicate again before, during and after the 3 p.m. kickoff of free agency. But let’s be very clear on this: If Murray expects to get LeSean McCoy money he won’t be a Cowboy next season. The Bills traded for McCoy and gave him a new contract worth $8 million a year. Seattle gave Marshawn Lynch $10 million a year. My educated guess says the Cowboys won’t go over $6 million to keep Murray. Why? Because he’s just not as important to them as McCoy is to the Bills (who have no quarterback) or Lynch is to the Seahawks (who have no receivers). The fact that, like other free agents, Murray doesn’t already have an agreement is encouraging. But make no mistake, the Cowboys aren’t about to get into a bidding war for their star running back.